The stress that accompanies any major move can be unnerving. That is why you need to call on the professionals at Pompano Movers. With over 20 years experience in the moving business we will pack and ship your valuables across the street or across the state in a secure and timely manner. That is why you need the experience and know how that we provide, we will ensure the safe transport of your belongings at the lowest prices around. Regardless of what type of relocation you require, Pompano Movers will be happy to lend our knowledge and expertise to any or all aspects of your move. You can pack your household items on your own or we will execute the entire process for you. Most of our clients do pack their own belongings, just keep in mind that a well packed home is the main key to a safe and efficient move. To whatever degree you need our help we will be there to provide the services and supplies of your choice. However, if you are unsure of how to properly pack or your just too busy get around to it, our expert team will wrap and pack all of your valuable possessions for you to assure their safety and protection. From the smallest item to the largest furniture suites, we guarantee their safe and damage free transport. Mattresses and soft furniture will be covered in plastic to prevent any type of accidental soiling. Furniture that requires disassembly will be reassembled. When it comes to choosing a residential mover, a number of options need to be carefully compared. How much should you spend and what should you look for? You need to be able to trust that you are getting a fair quote in writing for your move. You need to gather as much information as you can and get honest answers to all your questions. You want to be assured of good service (you may have to reschedule or need assistance packing. 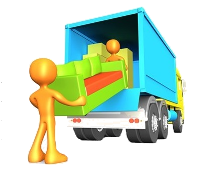 When you compare Pompano Movers and all the services that we provide with the other area moving companies, we feel the choice is pretty clear. It is not hard to see why we are one of the most respected moving companies in the area. Pompano Movers will always provide customized service to meet your needs and budget. 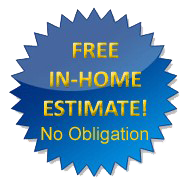 So contact us today at (954) 455-8987 for a free estimate or take advantage of our free in home estimate service for a guaranteed written quote.